Posted On : 04 December 2018 | Author : Data Plus Value Team | Tag : PDF to Excel Conversion, Outsource PDF Conversion India, PDF to Word Conversion, Adobe PDF Conversion Services, Convert PDF File to Excel or Word, Change PDF Document to Excel. In our modern world, office task becomes has become faster and easier compared to before. Everything and everyone now has access to digital, hence, it is necessary to be always ready with simple solutions like conversion. 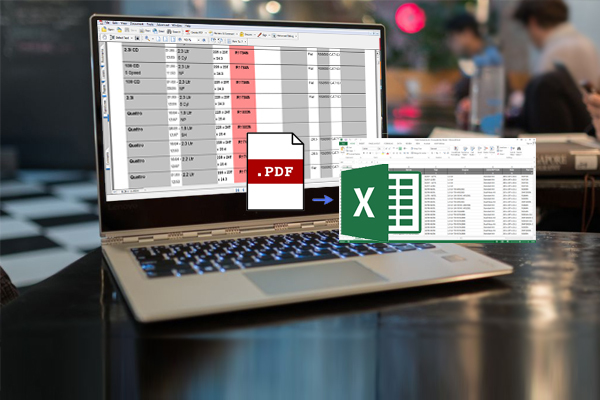 It is essential to know about converting uploaded PDF files into excel spreadsheet in a clear and easy way. DataPlusValue is here to assist you out with easy and quick solution like file conversions. We would like to give options in conversion that are; PDF to Excel and PDF to Doc, and scan image to excel. If you select for an easier method then you must use the Adobe Acrobat. Be reminded that what you require to do is create your PDF files in OCR recognizable format, next is to select the option OCR Text Recognition, then, you can save the file simply as tables in Excel. Along with this, you can also try writing a script that enable run OCR document scanning and conversion from Visual Basic. This may be time consuming but its definite worth to try. Also, you can use the manual data using an OCR conversion and become ready with different issues that may come up during technology and software-based conversions so always perform multiple levels of checking to maintain high quality and accuracy. DataPlusValue is brought to existence due to its primary objective of developing and giving its clients the best solution to all IT related issues or concerns. We encourage our client to speak about all challenging Data and IT related problem to us because we are confident that we would provide the right solution for the benefit of your company. In this fast changing life, it is necessary that should we should be fully updated with the current trends.